SWA’s redesign of San Jacinto Plaza, a historic gathering place in El Paso’s downtown business district provides a state-of-the-art urban open space, while protecting and celebrating the history and culture of the site. The project was the result of an intensive community process involving input from a wide range of constituents. Active programming, environmental and economic sustainability, and great design have become the de facto criteria for catalyzing renewed interest and investment in the types of urban open spaces exemplified by the updated plaza. arrangements. At the park’s center, the designers restored Los Lagortos, a beloved sculpture by Luis Jimenez that pays tribute to the live alligators that inhabited the plaza over 45 years ago. Together with Lake Flato Architects, they created a metal structure to help protect the sculpture from the sun and also to provide a shaded area for activities. 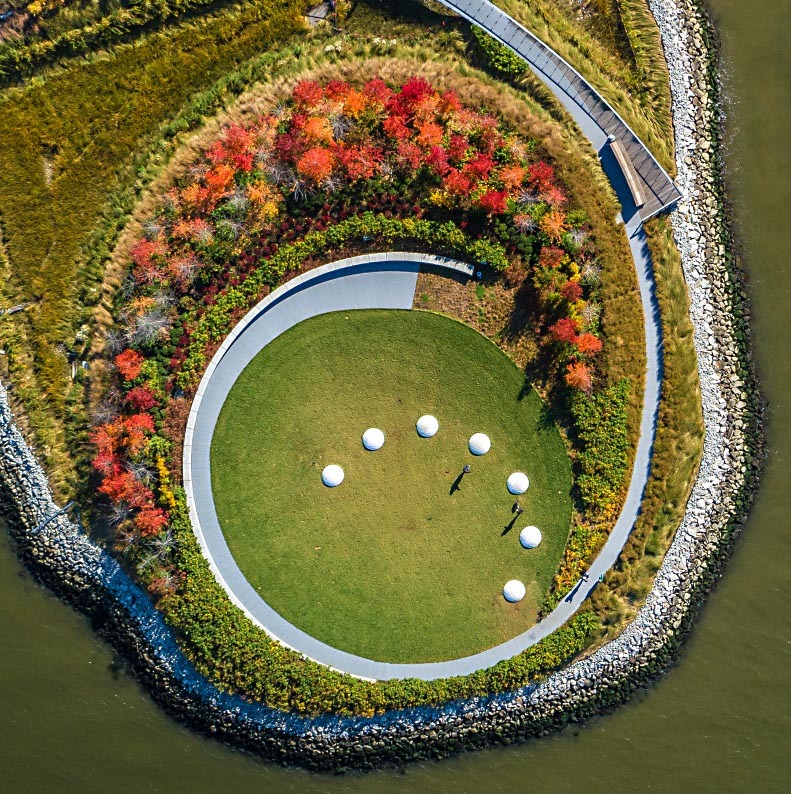 Hunter’s Point South Waterfront Park was envisioned as an international model of urban ecology and a world laboratory for innovative sustainable thinking. The project is a collaboration between Thomas Balsley Associates and WEISS/MANFREDI for the open space and park design with ARUP as the prime consultant and infrastructure designer.